Howrse Helper » The New Layout Has Arrived! The New Layout Has Arrived! 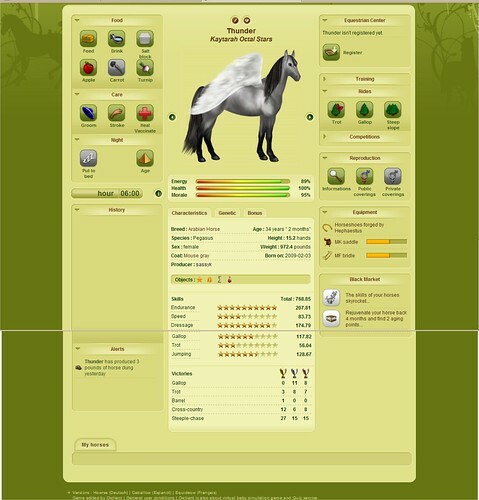 At the top, you can scroll through your horses, but only about 10 of them. All of the actions are closeable which is nice. Overall, it is a very nice layout, however, it would be best if they have waited to release it. 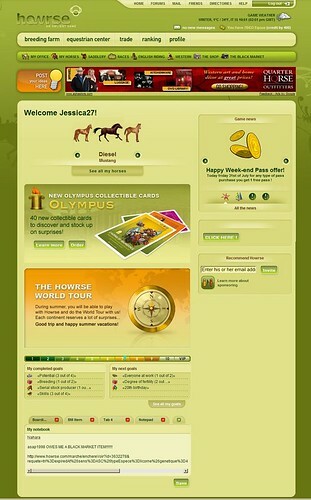 I was on here when howrse looked like this… I still miss it!